This classic American children's novel was first published in 1876. Mark Twain (Samuel Langhorne Clemens) characterized the novel as a "hymn" to childhood. 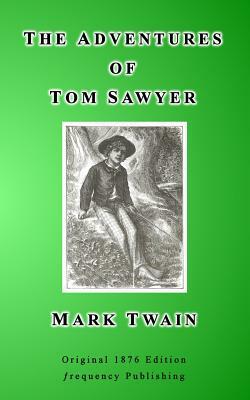 Tom Sawyer is a mischievous child growing up alongside the Mississippi River in the 19th century. For his beau Becky Thatcher and with his buddy Huckleberry Finn he acts the prankster. Tom's amusing antics and the author's ability to vividly hear his own inner child appeal to both young and old readers alike. A perfect bedtime book for parents to read to their children or for kids to read themselves to sleep. Part of our Children's Classics series of books. Mark Twain (1835-1910) was an American humorist, satirist, social critic, lecturer and novelist. He is mostly remembered for his classic novels The Adventures of Huckleberry Finn and The Adventures of Tom Sawyer.